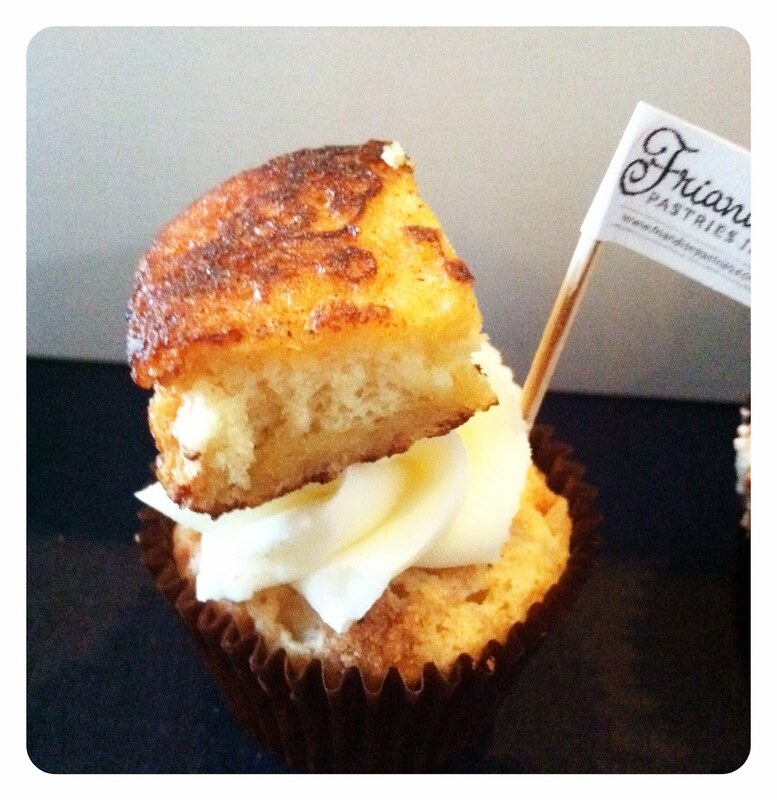 I think I got my hopes up for this cupcake because I have a huge love affair with French toast, so the idea of it in dessert form with frosting made me automatically assume it was going to blow me away. Don’t get me wrong, it was good but that’s the only word I can use to describe it as a whole because it’s the closest word I can find without saying mediocre and sounding harsh. As you can see, it was hard to take one full bite of this cupcake to experience all the flavors because of how high all the components were stacked. However when I managed to take a decent bite, I found myself searching for my glass of water. The piece of French toast on top was dry and probably would have tasted better had there been a drizzle of maple syrup or if the frosting had more moisture. If was just the cupcake itself without the French toast chunk, I may have liked it better. The French toast flavor was distinguishable in the cake and the maple and cinnamon flavored frosting brought it together to where anyone could recognize the the breakfast theme and unique taste. The presentation was cute, straightforward and bold but I couldn’t bring myself to love it like I wanted. I needed it to have more color or syrup dripping down the frosting because sometimes being over-the-top is better than being underwhelming. The cupcake stood out in my box by being presentable and larger than the others but it didn't stand out amongst the other flavor giants I experienced that evening.